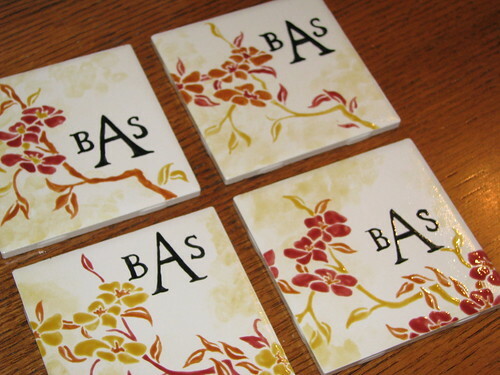 Not always the cheapest gift (the cost entirely depends on the studio fee at your local paint-your-own-pottery shop), but a fabulous & personal creation is the hand-painted coasters. 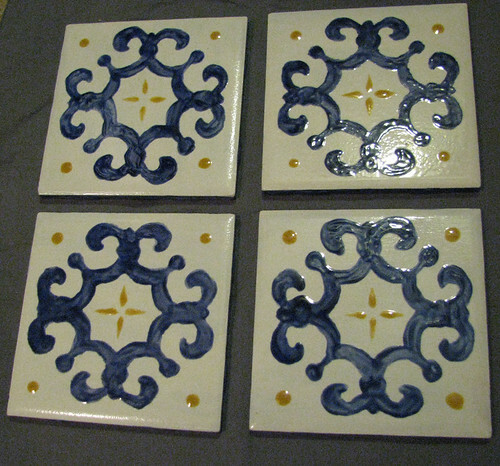 (The tiles are generally one of the cheaper items to paint.) 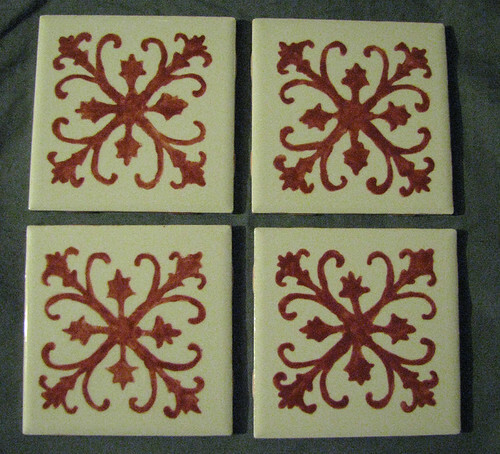 Here’s a set I did as a wedding gift. I found an image I loved and designed the set in Adobe Illustrator, printed, and took a copy with me. Had I remembered to run by the pottery store yesterday, I’d have a newly glazed set to share, but that will have to wait until next week now.